Mrs. Colleen Santoni is an Assistant Principal with a focus on the Spiritual Life of St. Patrick Catholic School in Dallas, Texas. She continues to teach 8th grade Religion classes as well. Mrs. Santoni grew up in El Paso, Texas and attended the University of Notre Dame. Upon graduating she joined the Alliance for Catholic Education and earned her Masters in the Art of Teaching. She returned to Notre Dame to work at the Center for Social Concerns for six years. Mrs. Santoni has taught 8th grade Religion and 5th/6th grade Guidance during her eight years at St. Patrick Catholic School and also served as Director for Spiritual Life. She earned a certificate in Catholic School Leadership from Creighton University in 2016. 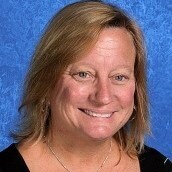 Mrs. Lisa Hose has been a teacher for 29 years, and the last 17 as a 5th grade teacher at St. Patrick. Growing up in Oklahoma City, she attended Catholic schools through high school, where the foundation of her love of Catholic schools was laid. Mrs. Hose attended Oklahoma State University and the University of Central Oklahoma where she received her Bachelors and Masters degrees in Elementary Education. As an Assistant Principal, Mrs. 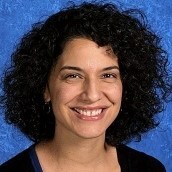 Hose will be focused on Instruction and Organization at St. Patrick Catholic School, and completed her certificate in Catholic School Leadership through Creighton University.